Today I’m back in Wales for Christmas (well I’m on a train right now to Wales, joikuspot on N8 being a trooper) and I thought I might share some of the culture of Wales by showing you an app called Welsh Kitchen, a recipe style app that shows you some of the dishes from Wales. Welsh Kitchen gives you access to all the traditional welsh recipies. You can browse/search by category or by ingredients. 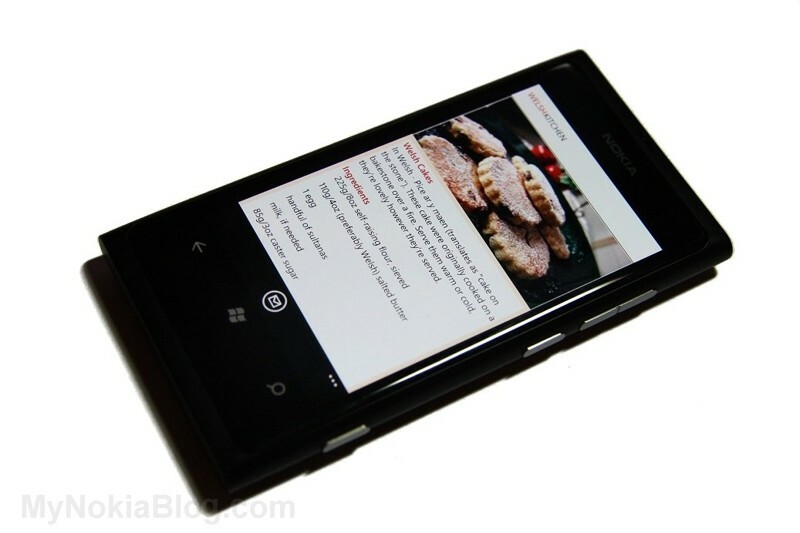 Styled using Windows Phone’s unique Metro design, this app has everything from Welsh Cakes to Cawl, it’s all here and it’s all Welsh. 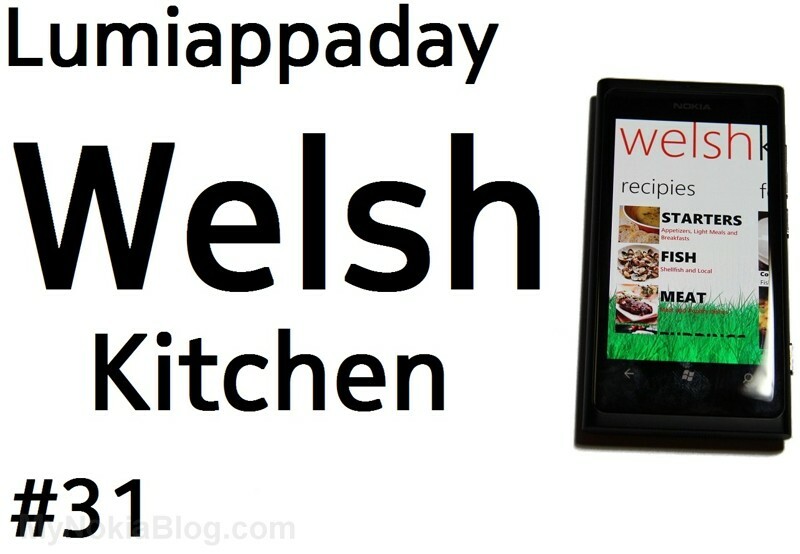 Welsh Kitchen is a real nice looking recipe app, with the theme in tune to all things Wales. 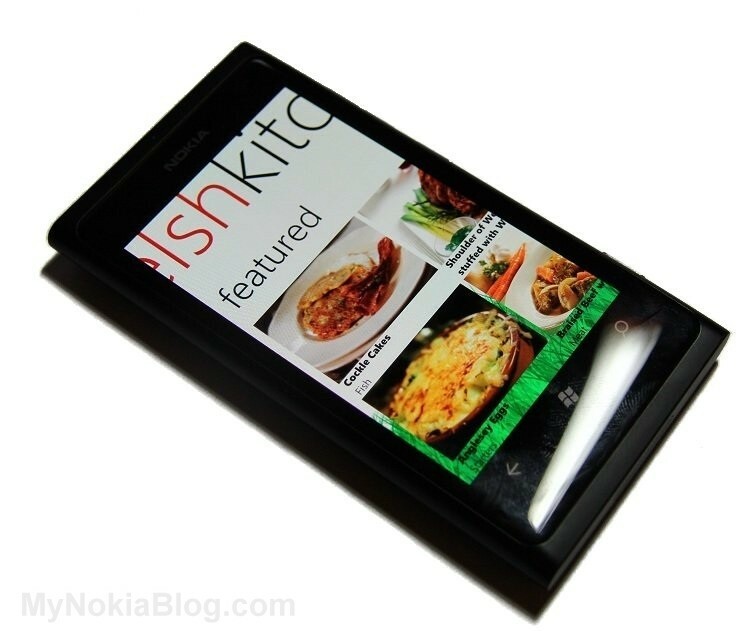 The app is navigated through the metro UI and is peppered with beautiful pictures of some Welsh cuisine. The starting splash screen is particularly nice looking, fortunately you won’t see it too long as the app loads fairly quickly. The recipes themselves are simply presented with an image of the dish and instructions underneath. I think it’s also pretty cool when they mention Welsh translations. It’s very easy to use, you can find recipes by starters, meat, fish and puddings (dessert) or swipe right to check out featured recipes. Another swipe to the right you can see in nice big bold fonts is search, submit, settings and facebook. Would be nice to be able to increase the font of the recipe bit itself. Quick to start, quick navigation, fluid, stable. Blinks to resume the last thing you left off. Just to note, the apps are rated on their own merits whether they do what they’re supposed to. Most things I look at are generally free apps or apps that I think are good enough value that the stingy me would buy them.